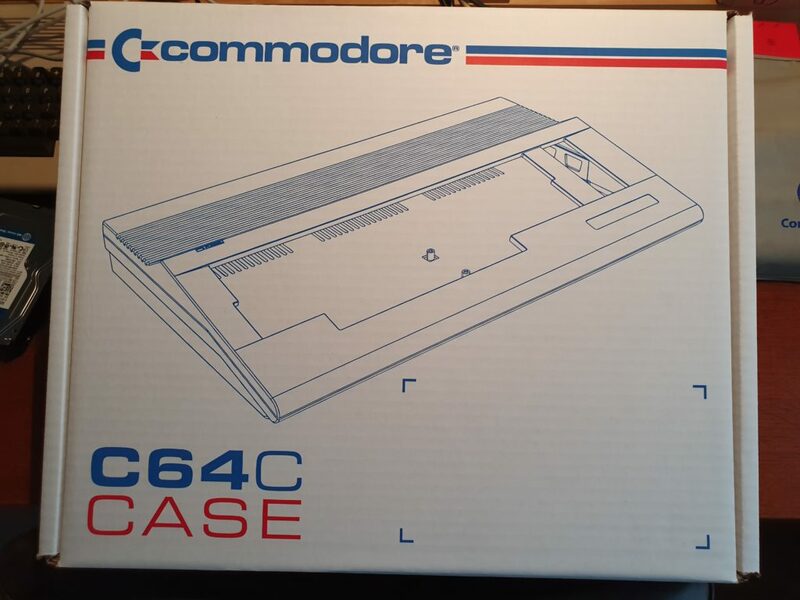 Bought two cases, SX style, from Pixelwizard, now waiting for my Ultimate 64 board. 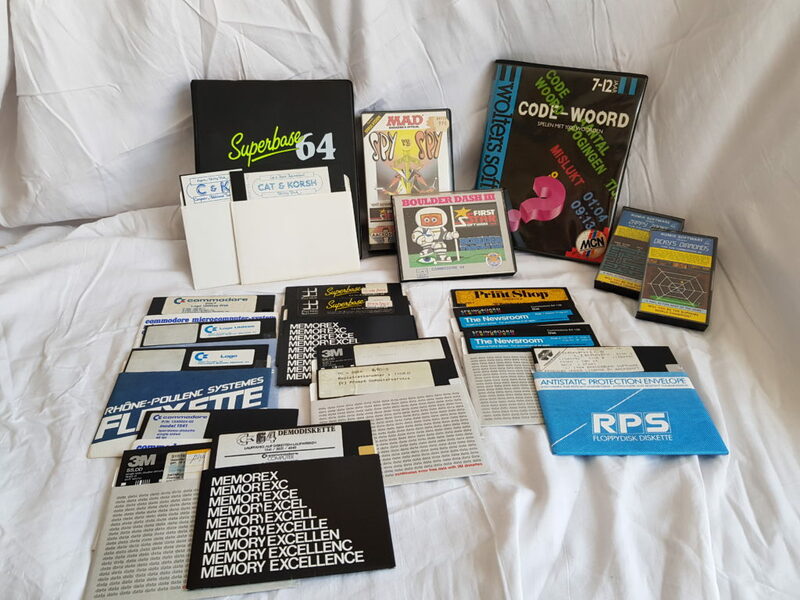 Including two boxes of software (sold voor 30 euro), a 1988 PC game on 5 1/4 disk (King’s Quest IV, sold for 30 euro) and a C64 needing some tlc and a working 1541 drive. 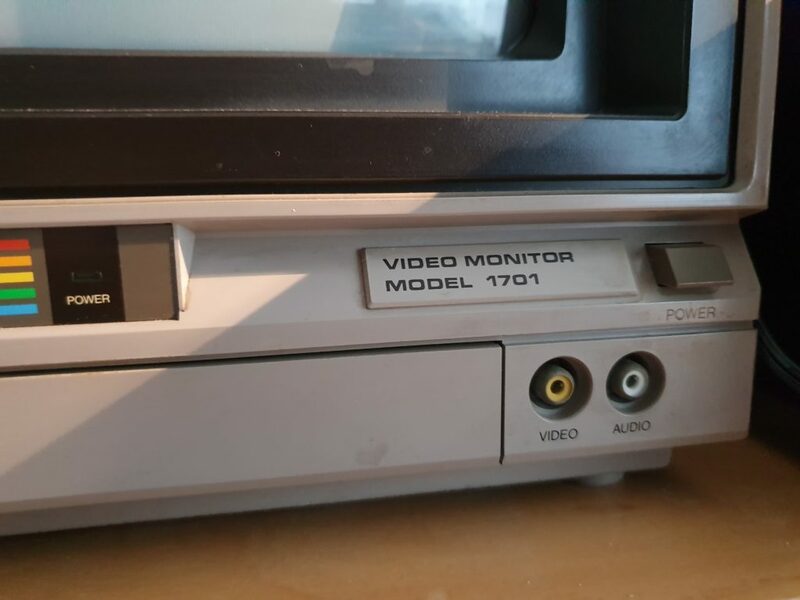 So, I guess the very nice 1701 have costs around 50 euro after selling of the commodore. 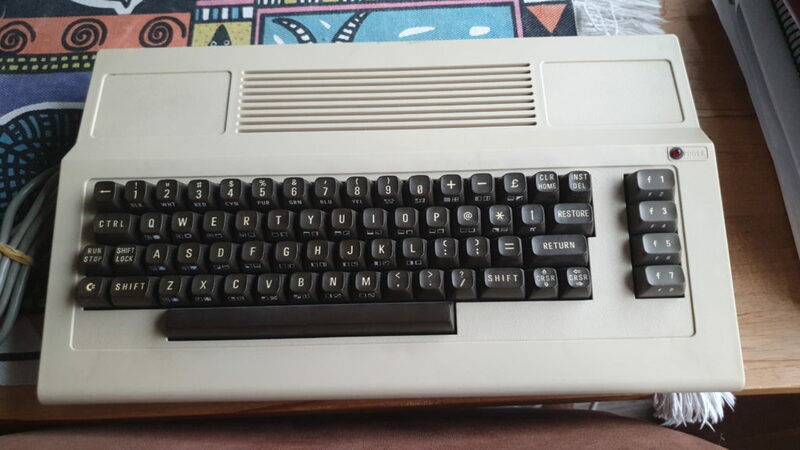 With some luck and quick response i snatched an australian C64 from Marktplaats. 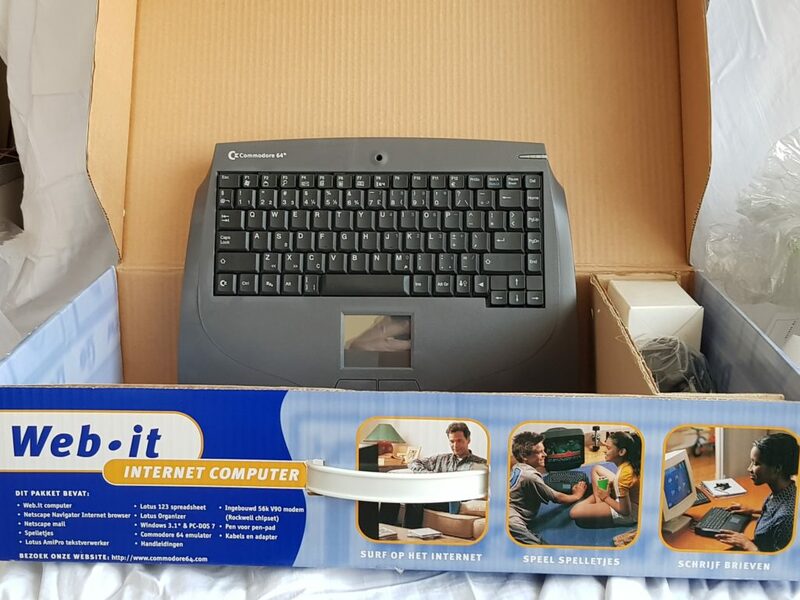 35 including shippinh but with the black screen of death. Indeed as death as it could be. Sid en VIC from a 64c were placed in the 250425 Assy. 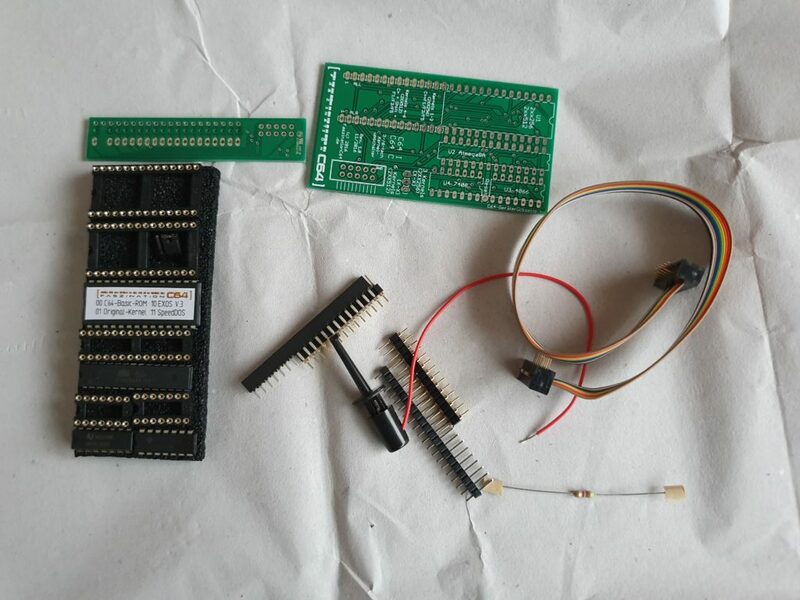 Removed the board, will replace intime with another working 250425 with the correct chipset. 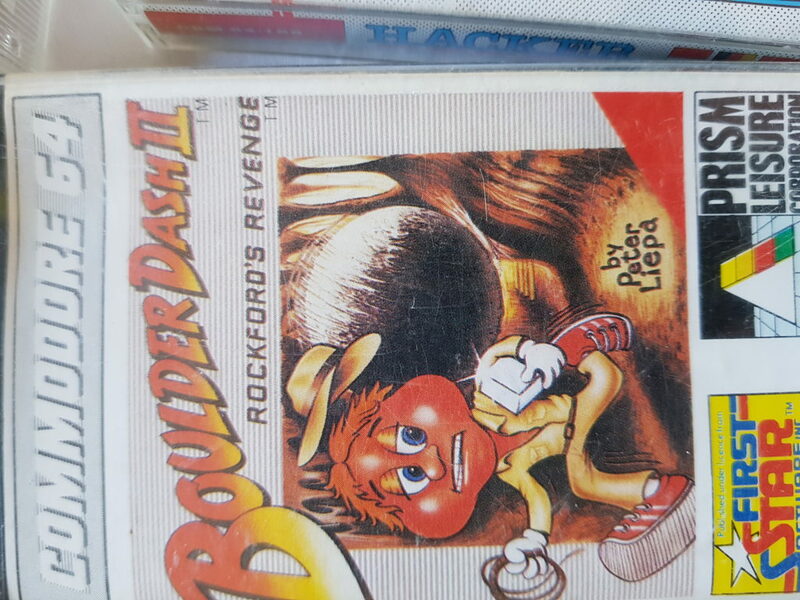 Finally two boulder dash games for the collection! 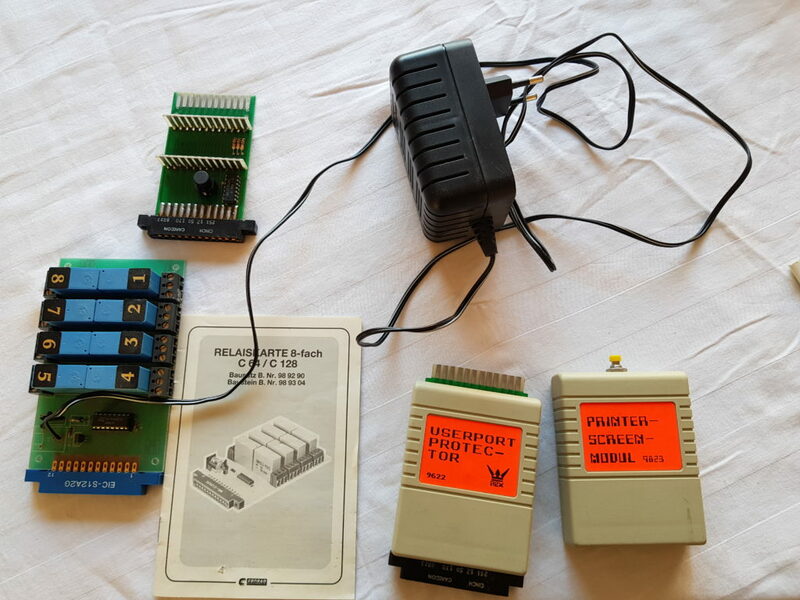 MSSiah cartridge + Sid2Sid board (new). 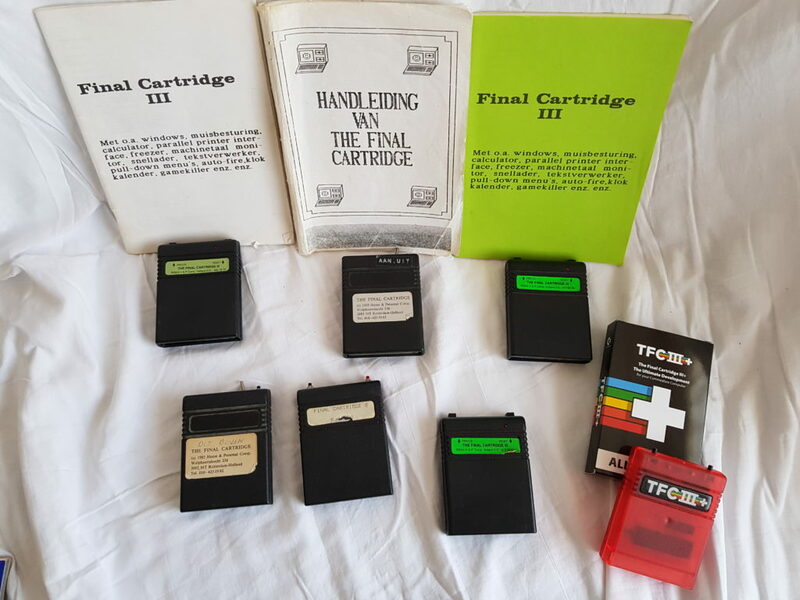 DWK Turbotool 64.6 cartridge with manual. 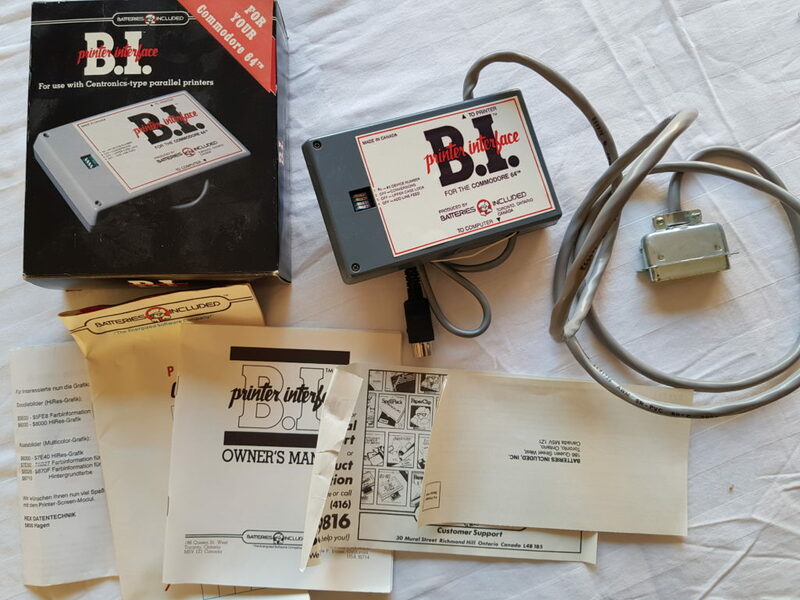 XUM1541 (to connect the C64 drive to laptop/PC)(new). 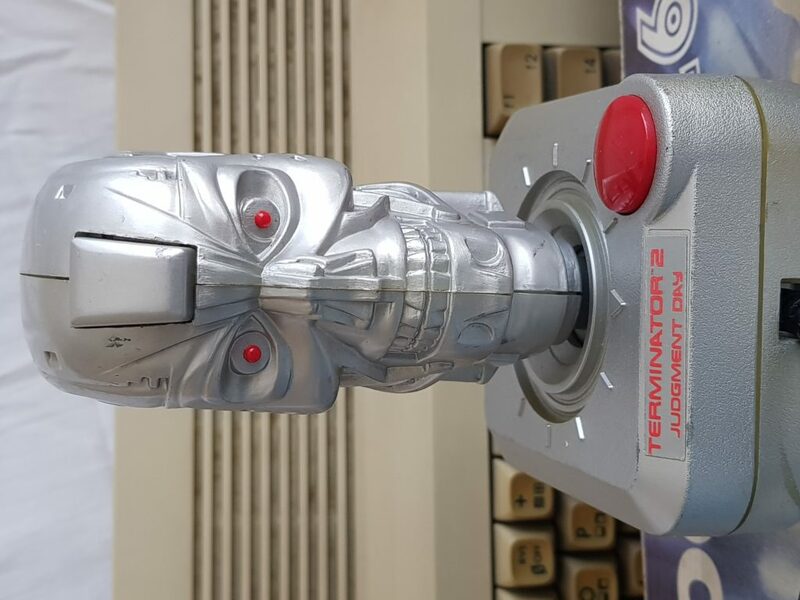 Two joysticks, new to the collection. 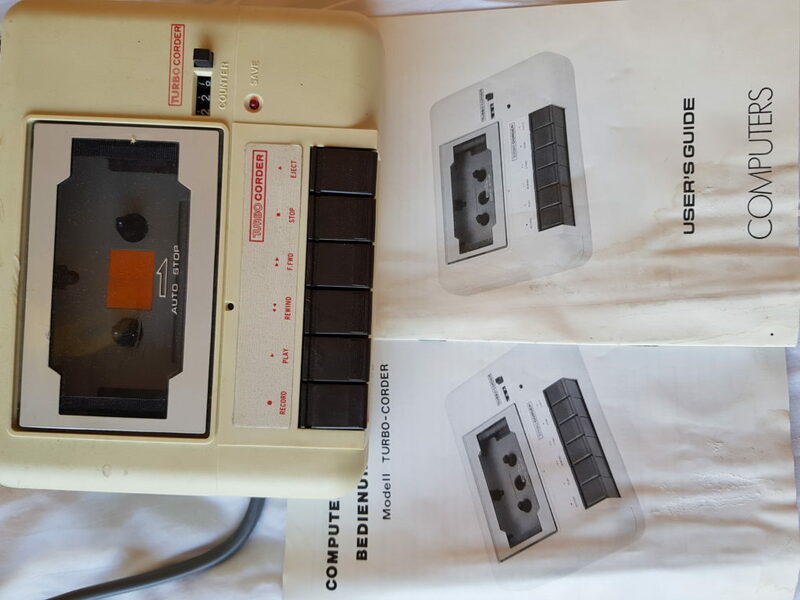 Some cheap and very yellowed tape recorder. 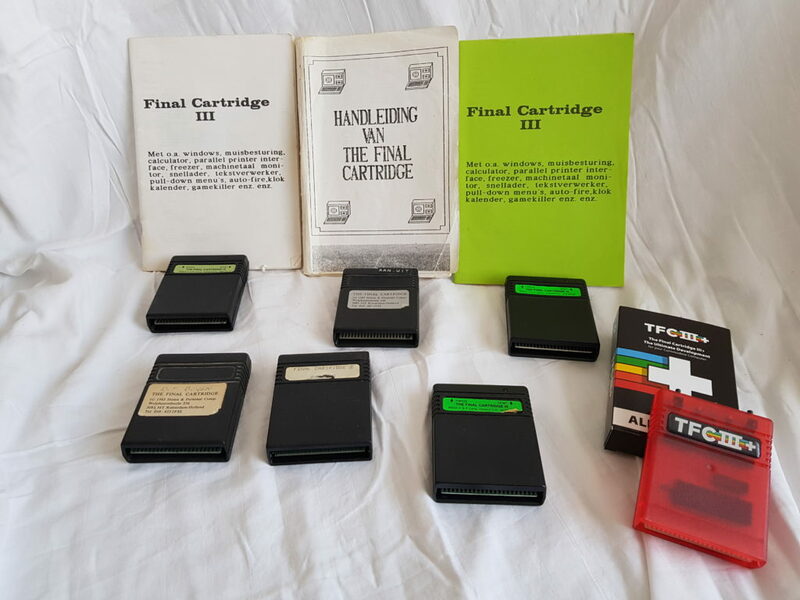 Two different working versions of the Expert Cartridge Softeware. 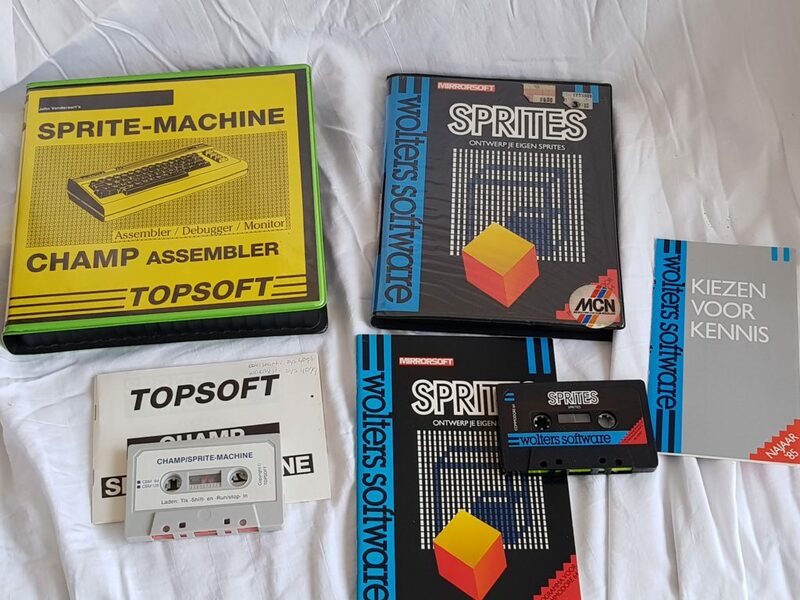 Two Romik games (just fun to have, if you find one, just read the text on the inlays). 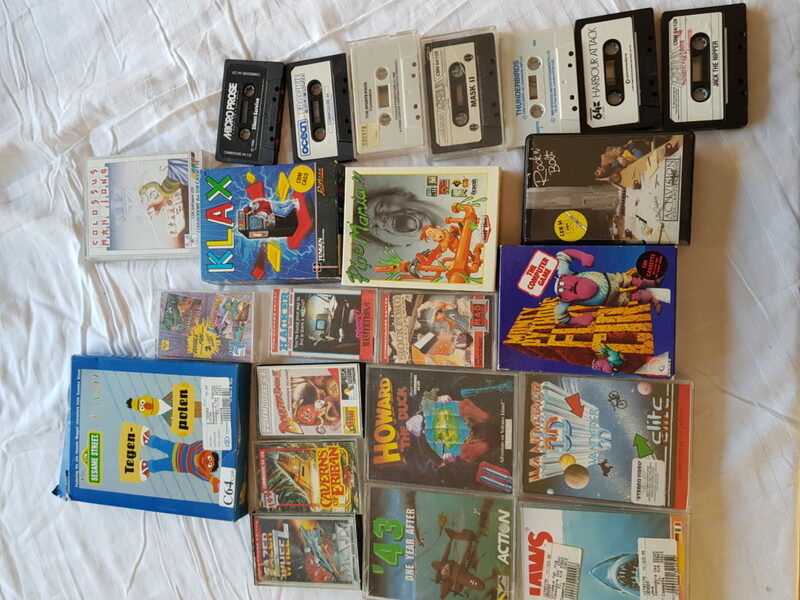 Some other original games and software too much work to type it…same as for the joysticks…they will end up in plastic storage boxes at the moment. 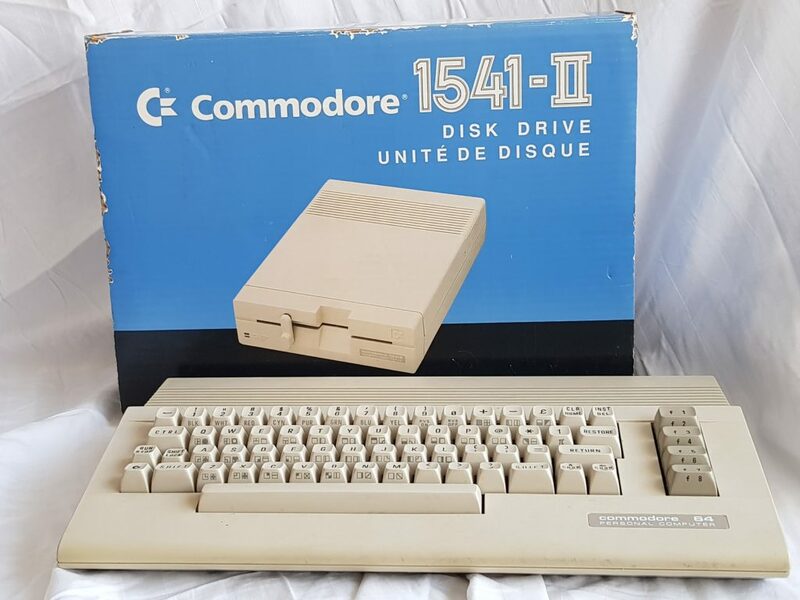 These blue boxed 1541-II drives were primarily sold in France…but this one is with UK and Dutch manuals. It might be sold overhere in Holland as well, who knows! So included in the collection. 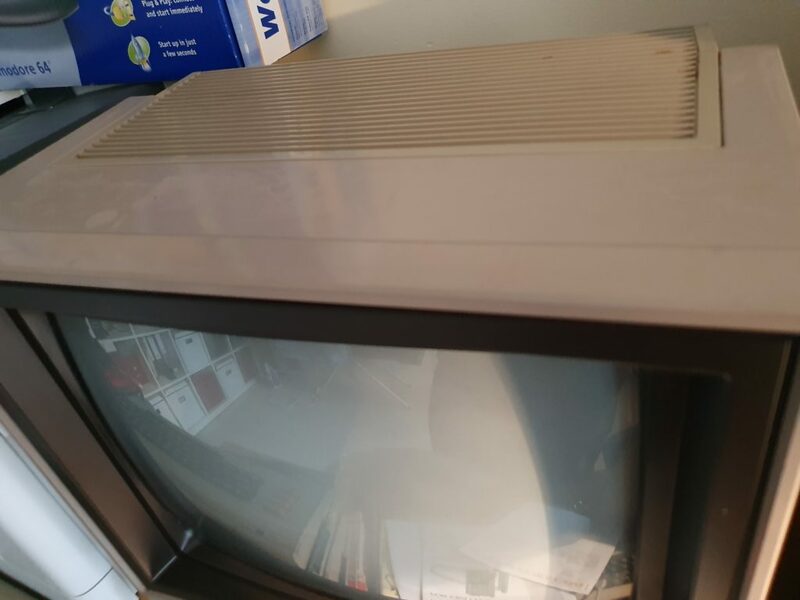 Pick up with a working C64c (early model, with the older breadbin assy). Forgot what i paid for this one. 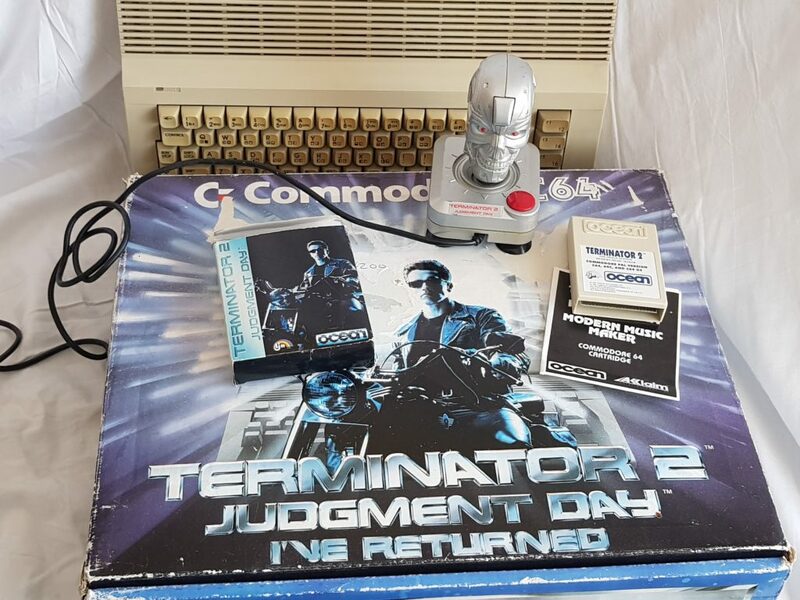 The C64c will be on auction again. 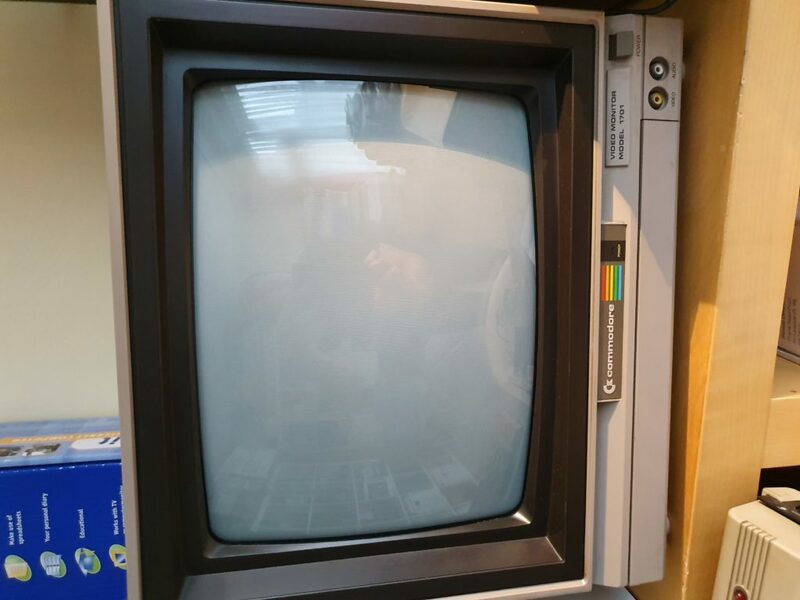 Well, if you are collecting C64…should this ugly babe get access to the collection or not? 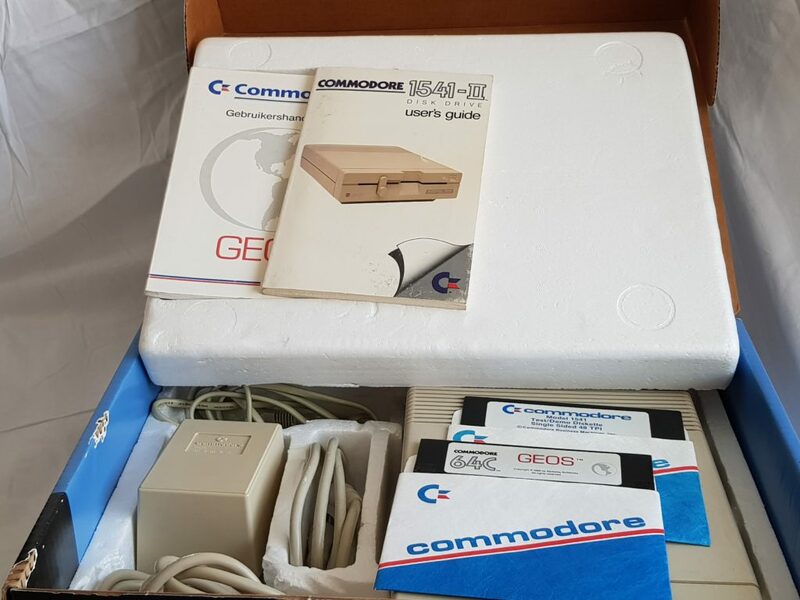 Since I’ve got a C64 mini as well, than the Web-it should have it’s (or some sort of) place in the collection, With thanks to Marco. 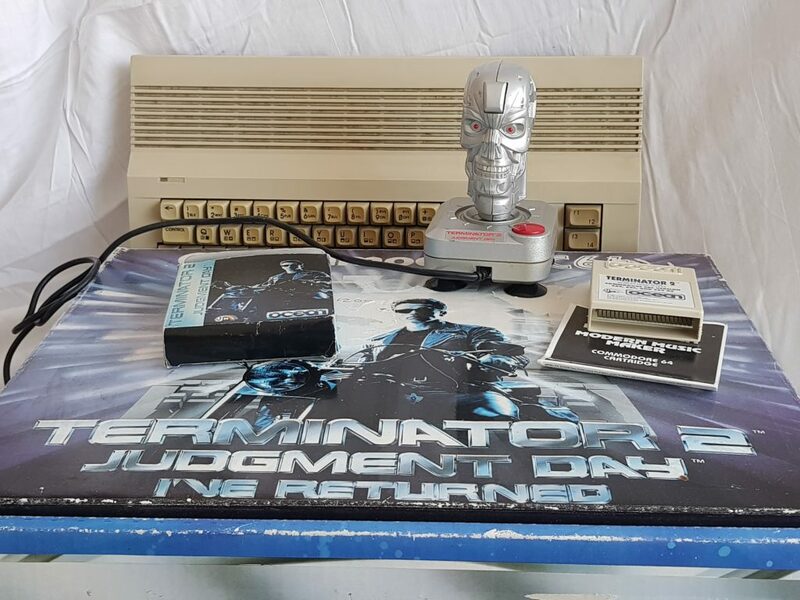 Keyboard a bit yellowed, but the C64C fully working, although with an UK plug ofcourse. 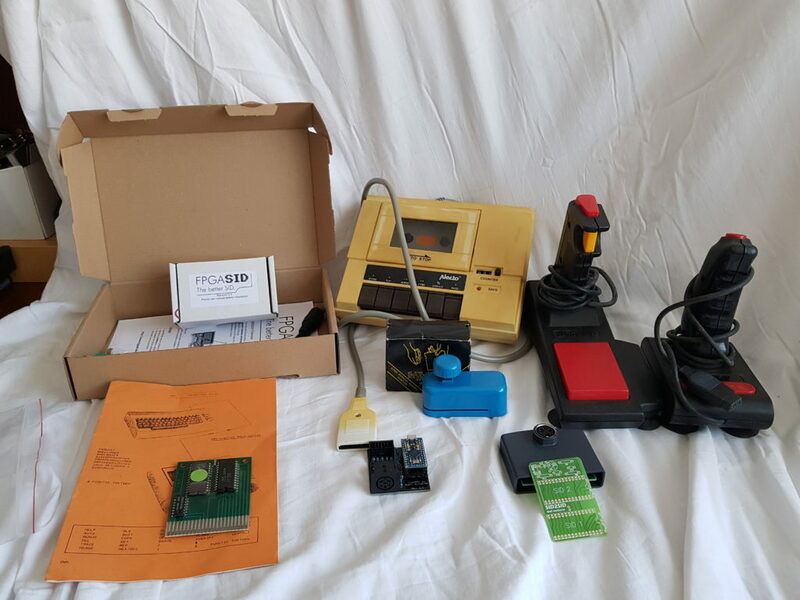 I was lucky a few days ago: a full boxed set was offered with to extra boxes with books and hardware goodies. Contacted Harry Jan from Boxmeer after offering 60 euro, and to my surprise he agreed on the price. Well, ok! 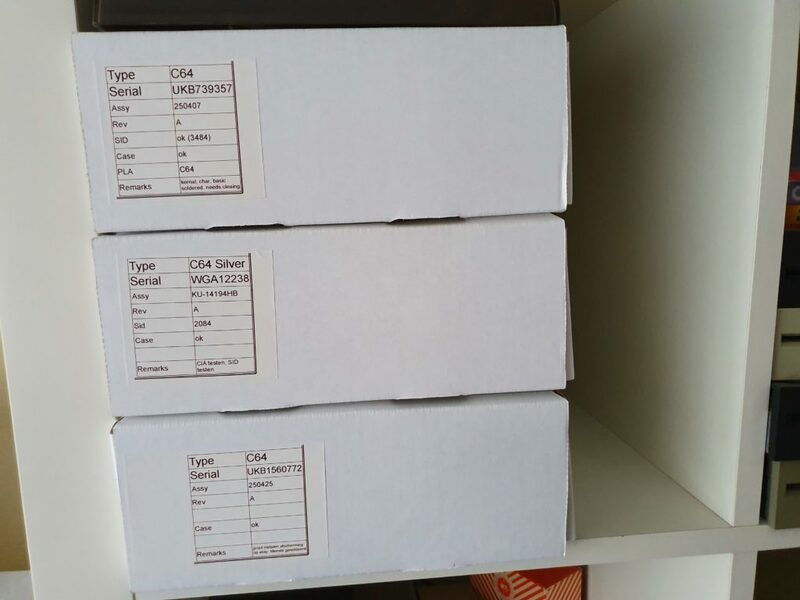 Drove up to Boxmeer to pick up the lot, including a lot of boxes with software. 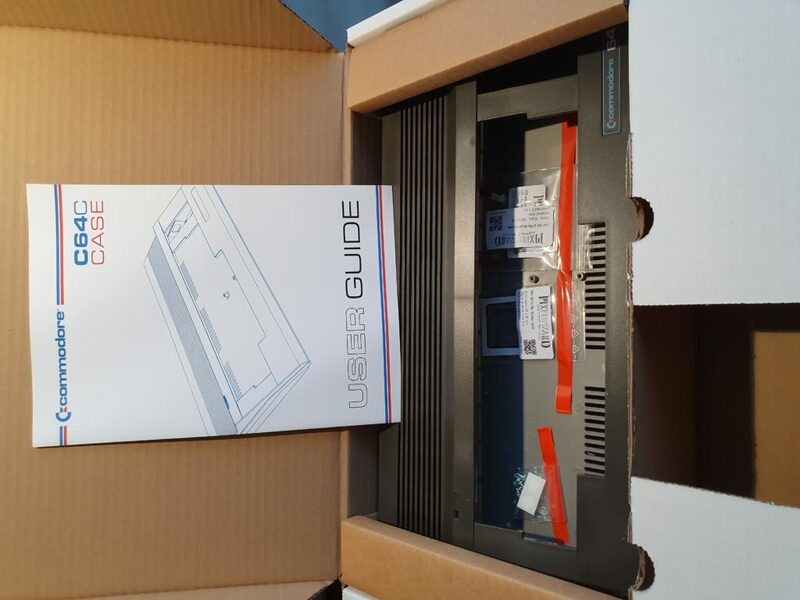 Turbo-corder, one of the many low priced datarecorders on the German market. 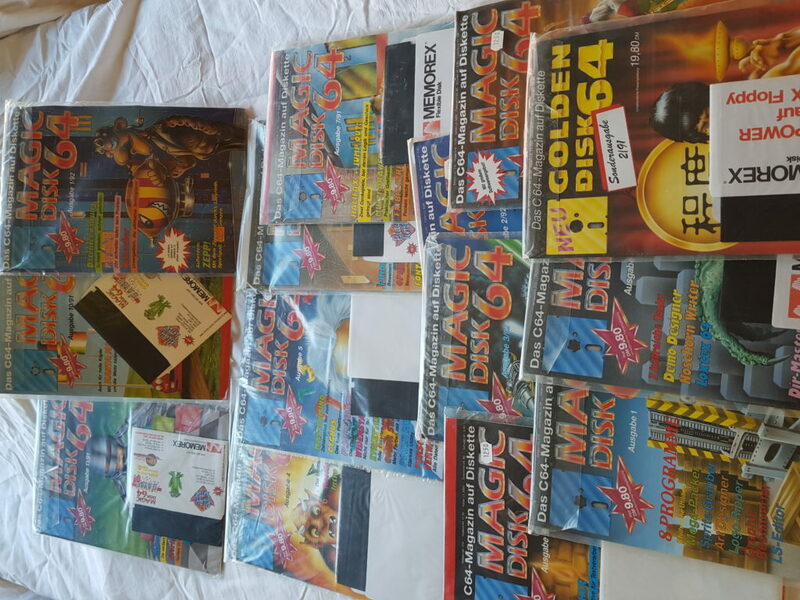 Magic Disk 64, German disk magazin, about 15, quit a lot not opened at all. 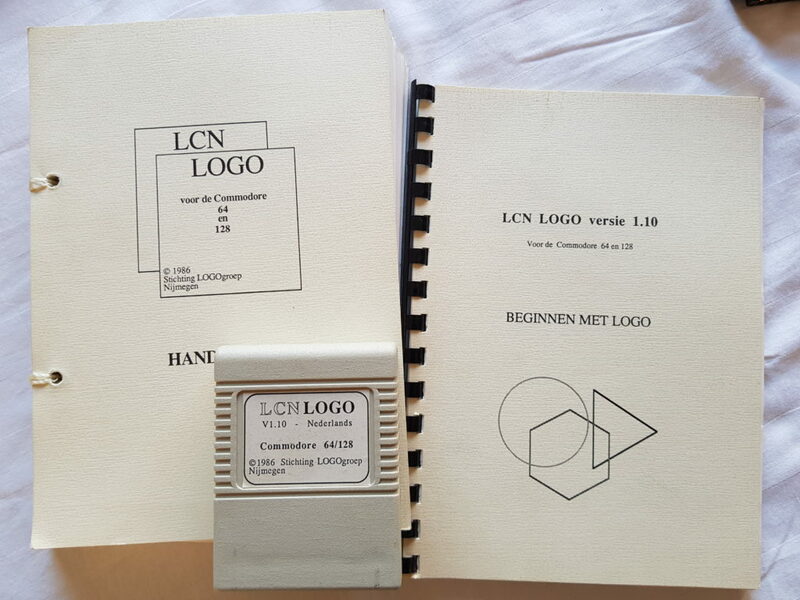 LCN Logo cartridge and manual, Dutch Logo User Group from Nijmegen (you can find some info on LCN in Commodore Info Year 3 Number 2, 1986). 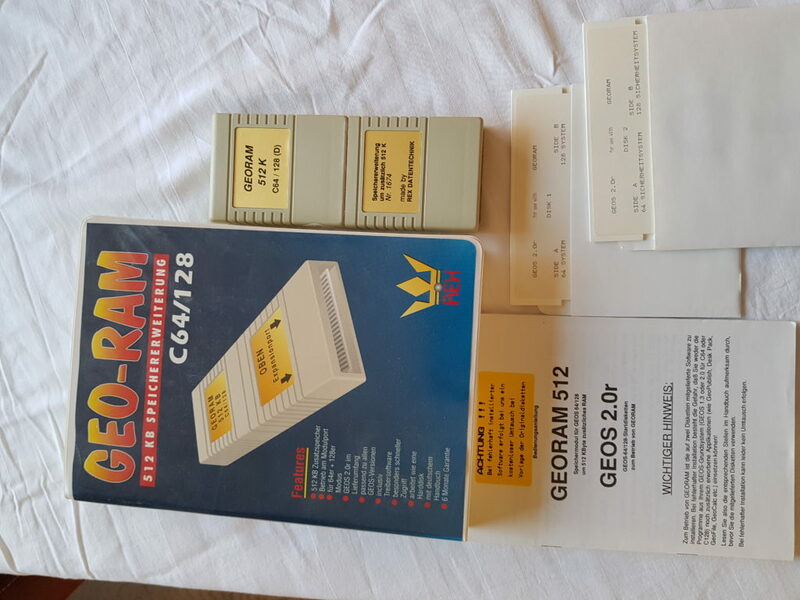 Geo-ram, boxed and complete with manuals from Rex. 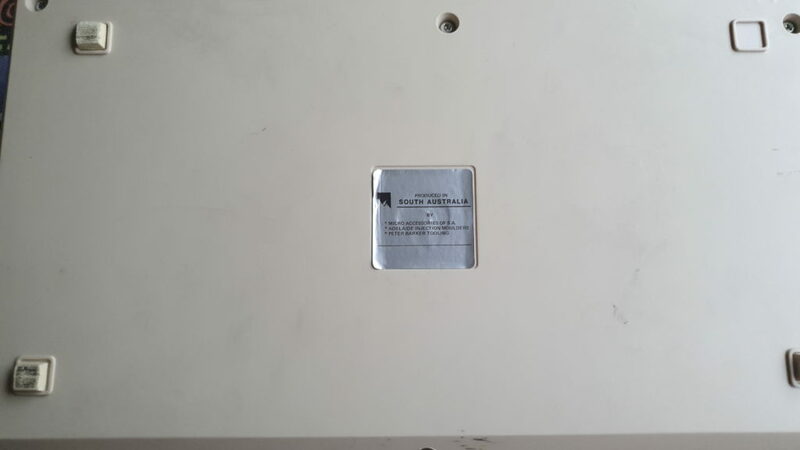 It’s clone/copy of the Berkeley Softworks, released by Rex Datentechnik (nr. 1674). 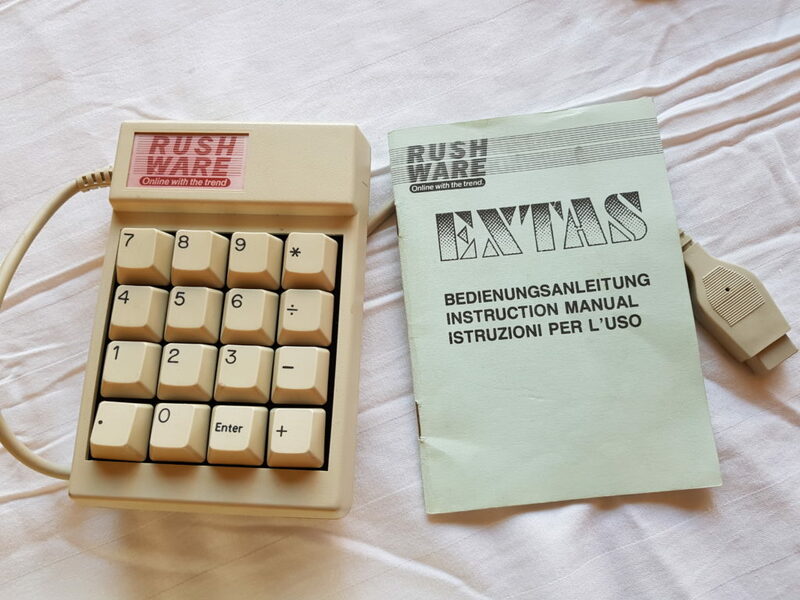 Rushware Numeric Keypad for the C64. 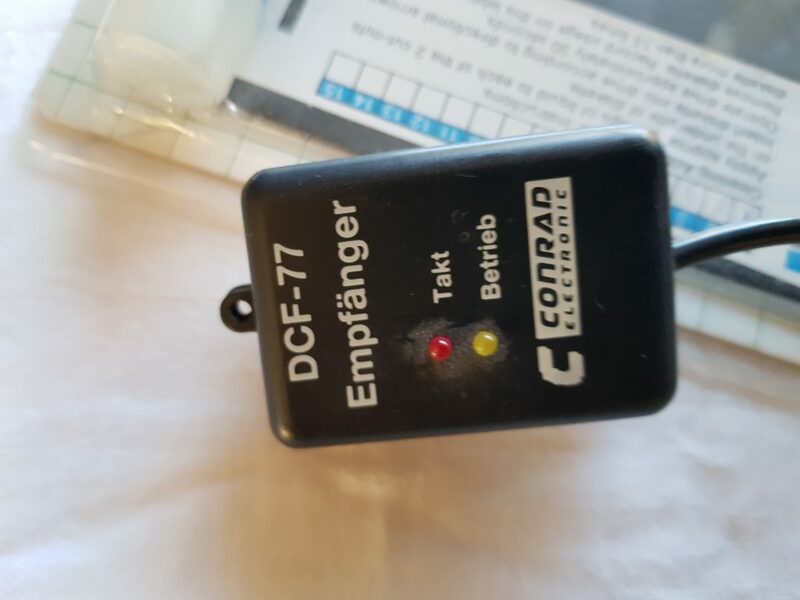 Conrad Relais Karte for the Commodore 64, Rex Datentechnik Userport Protector (9622) and Printer Screen Module (9823) and eh…an userport extender? 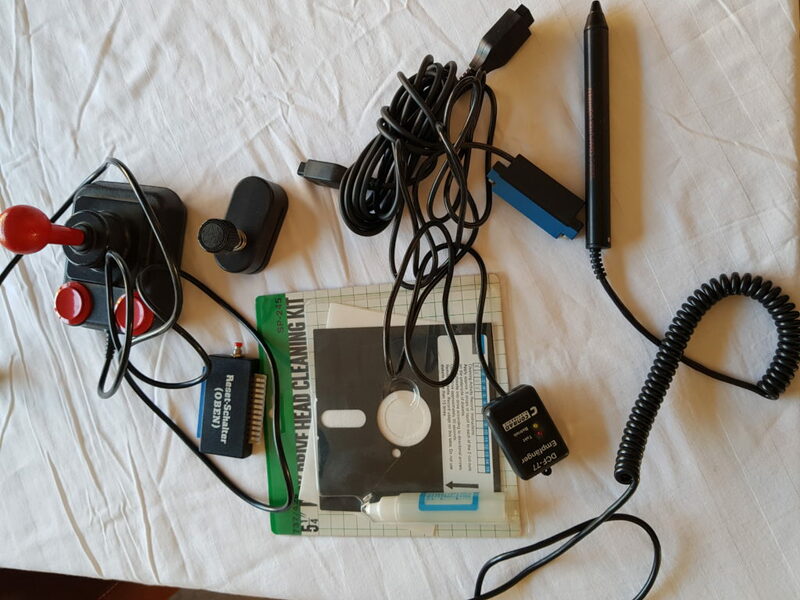 Turbo Computer Lightpen, Userport resetschalter, Disk Notcher, joystick, joystick cable extender, Disk Drive Head Cleaning set, Conrad DCF-77 receiver. 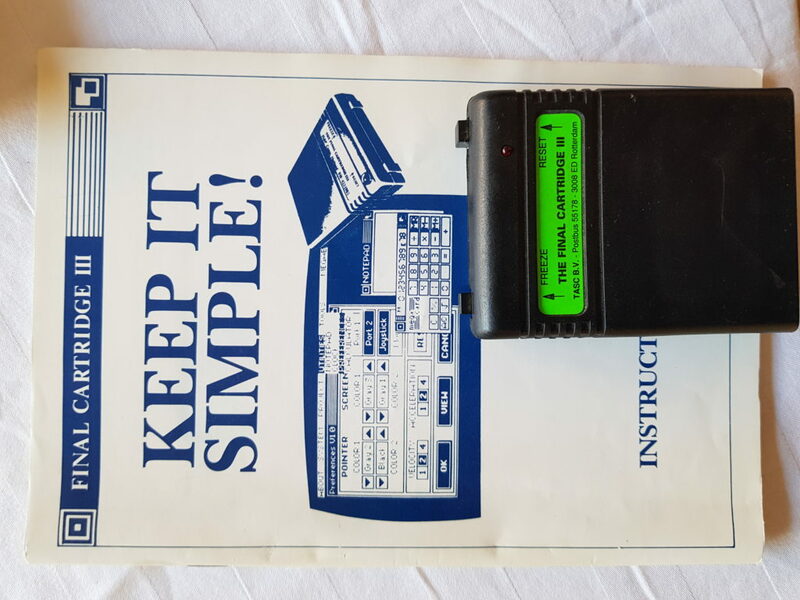 Batteries Included Printer Interface, boxed with manuals. 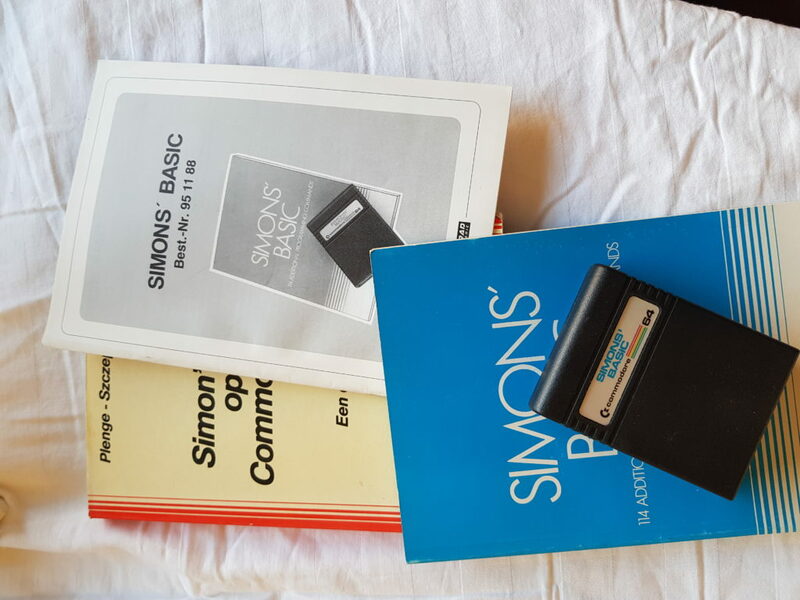 Simon’s Basic, with a Conrad manual. 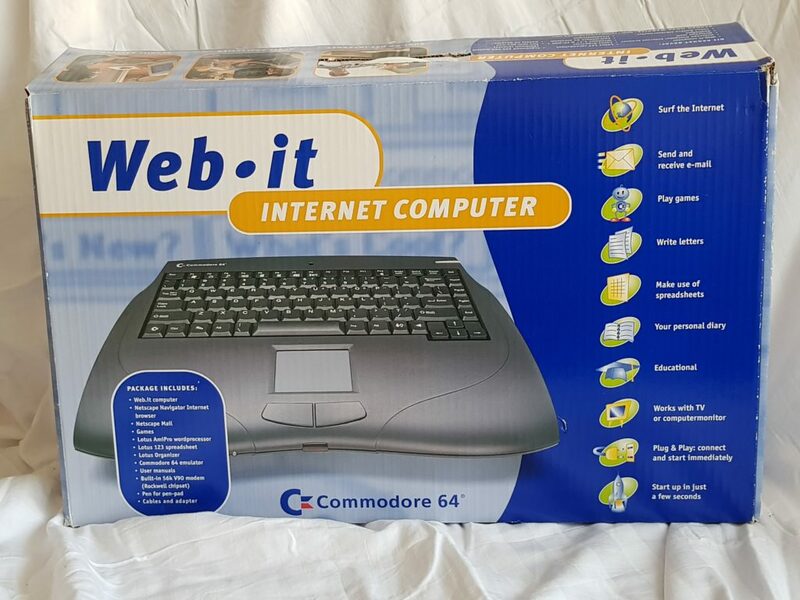 Seems that Conrad Electronics sold them in Germany.